This aging in place remodeling project was for an older couple on the West side of Cincinnati, OH who were wanting to stay in their home, but were in a unique situation. The wife had to spend some time in an assisted living home and her husband wanted to do some remodeling in hopes of her coming home. The room we focused on was the bathroom, since that would be the place they would need the most support. Specifically, she would need a better way to shower and be able to more easily use the facilities. Our main concern was to make sure she could be safe while in the bathroom. 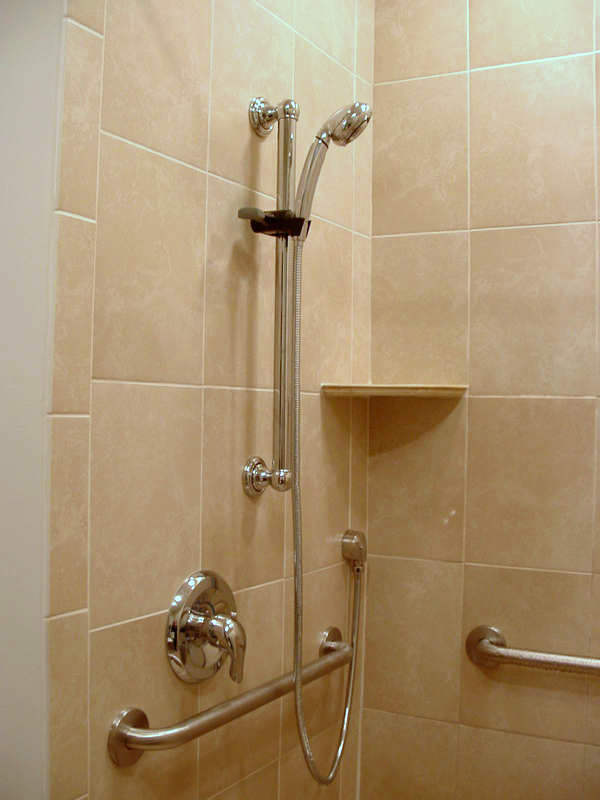 To accomplish these goals, we retrofitted the bathroom with new features that would not only help keep her safe, but to also make it easier on her and her husband when she needed the help. 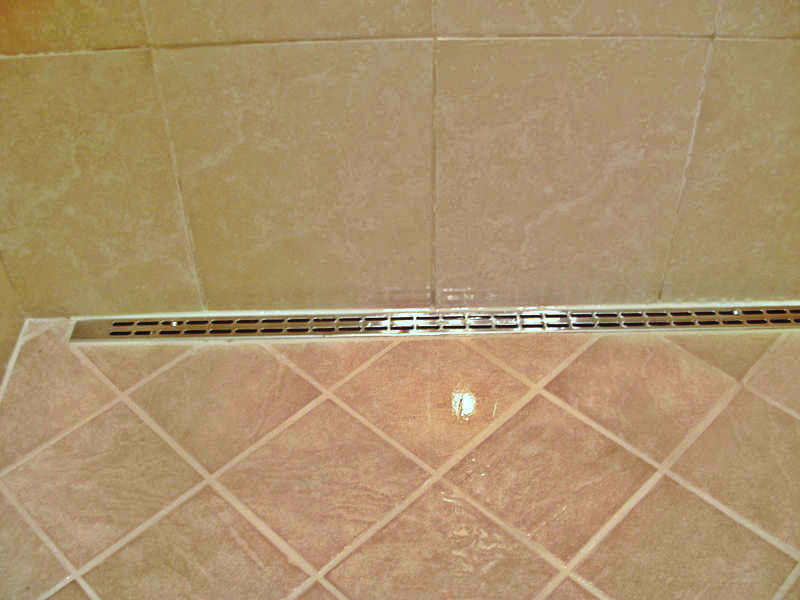 We tore out the old tub area and added a new roll-in shower with a linear drain. This new shower removes any obstacles (making it so she wouldn’t have to step over anything to get into the shower). 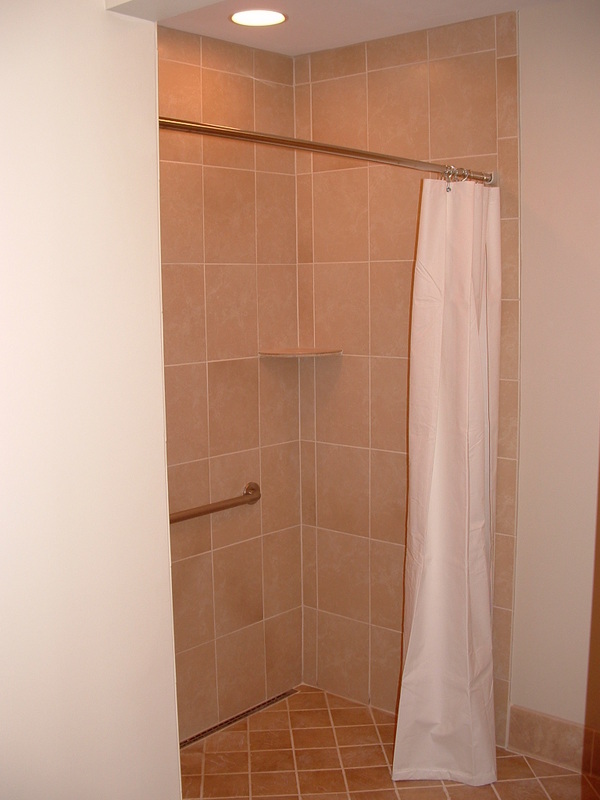 It allows for a completely smooth transition from the main bathroom floor to the shower area. 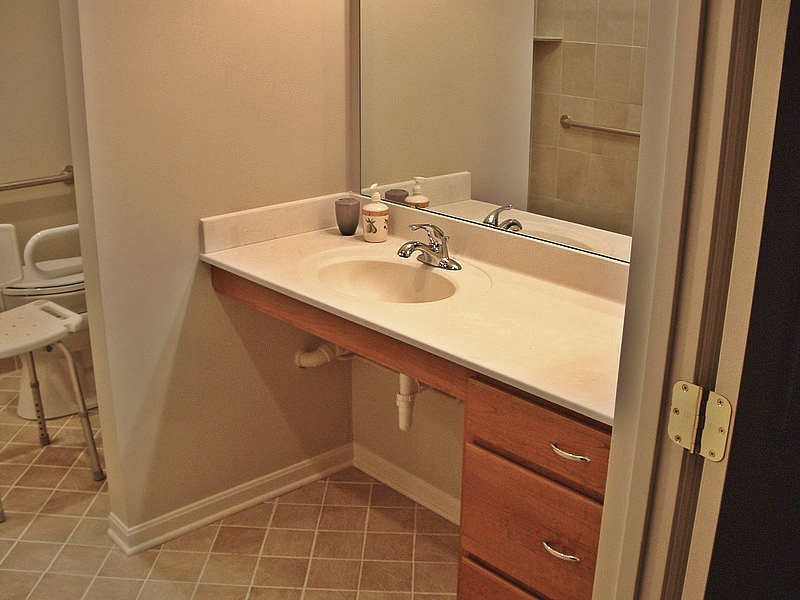 We also removed the old vanity and installed a brand new roll-under sink. This provided easy access to the sink for a wheelchair or so she could sit at the sink comfortably. 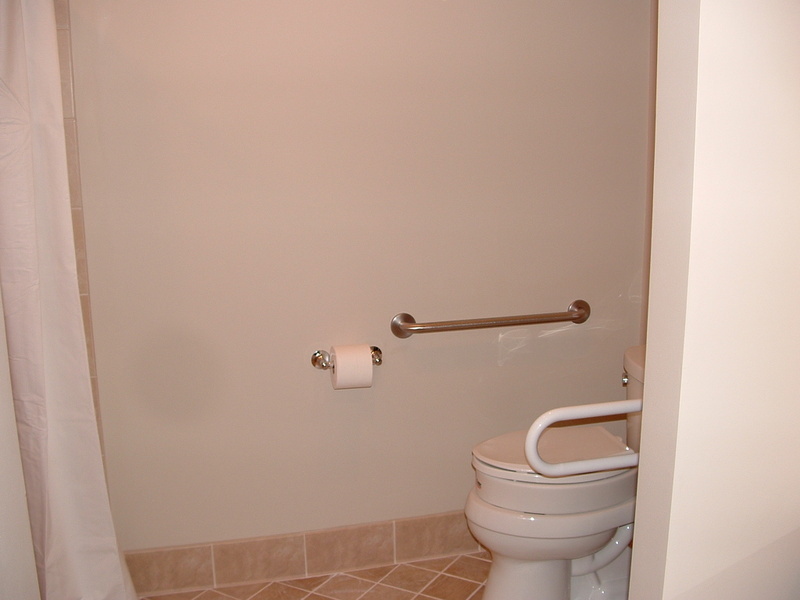 Then, we installed a comfort-height toilet, which allows her to use it without having to bend down as much or pull herself up as far. 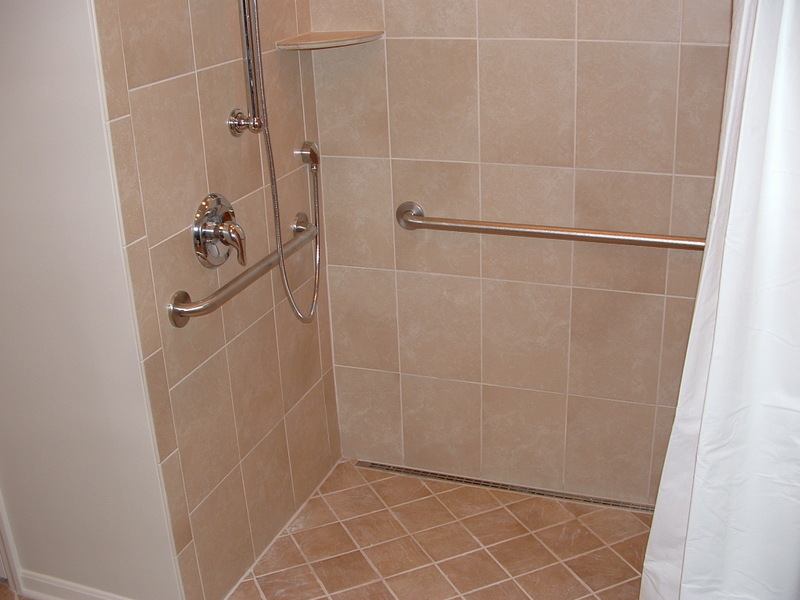 Additionally, new grab bars were added in the shower and for the toilet area. If you or a loved one want to learn how you can setup up your home so it supports you when you get a little older, home remodeling plays an important role in preparing your home for your future. We would welcome the opportunity to help you learn more about what it takes and how you can prepare.